Inklings is a perfectly clever blend of mindfulness and thoughtfulness. Discover beautifully detailed illustrations waiting to be awakened with colour. There are puzzles woven into the pages to tickle your intellect and quotes to inspire and entertain. 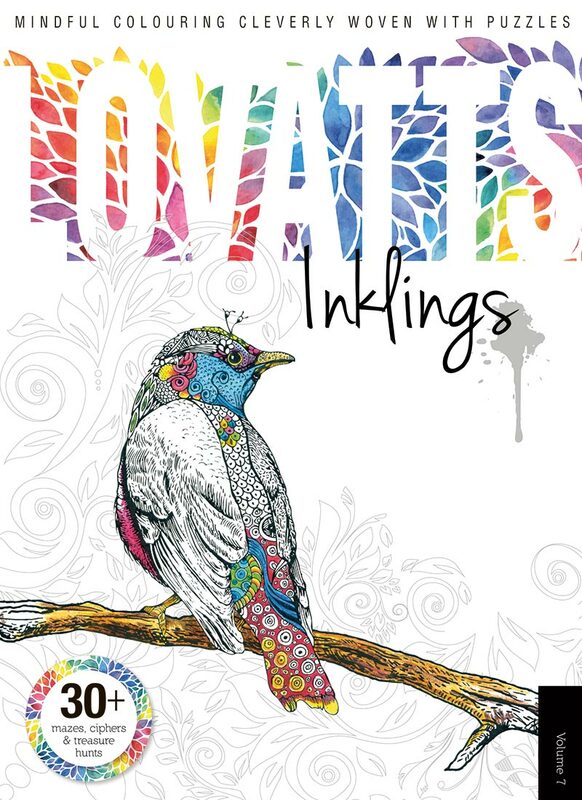 Artists and puzzle lovers of all ages and abilities will love Inklings.